I was listening to a speaker on Kids and Money recently, they talked about teaching kids to separate their money into different jars. 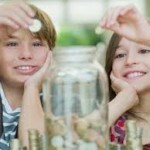 The basics are savings, spending (both short and long-term savings goals) and giving. I mentioned this casually to my daughter during one of our rare moments in the car together when she didn’t have her music playing and headphones on (oh, the glorious teenage years!). I didn’t think much more about it. A few weeks later, I went into her room and noticed four mason jars on her desk, one for spending, one for savings, one for Cos-Play (that’s her short-term savings goal for the fall, attend Hal-Con), and one for giving. I did the internal happy-dance, you know… the one where you realize something you said had impact in your child’s life? Yay! Tithing is as old as the hills. Historically, to tithe, was to give 10% of your income (livestock) to the church, but, like everything, it has evolved through the ages. In a time when many are moving away from organized religion and exploring their spiritual beliefs, tithing has become a way to thank those who have inspired you on your journey. In the article, “The Spiritual Law of Tithing“, Dr. Kyre Adept calls tithing a spiritual law, an act that attracts and supports abundance, and an expression of gratitude. I once heard a saying, “Wealth flows through you, not to you” (Dan Clark), meaning that in order to have true abundance, financially, one must give to continue to receive. 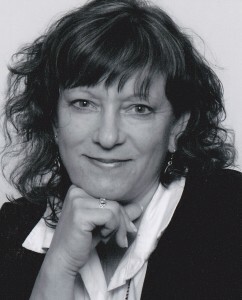 We always termed that “Giver’s Gain” in the business networking world. 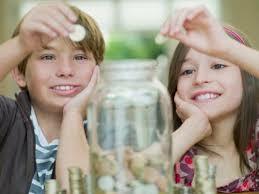 It’s a tough lesson, or law to uphold, when you are struggling to pay the bills each month. Human nature jumps in and the scarcity mentality takes over. How can I give when ‘the bills aren’t paid’, ‘there isn’t enough to cover basic needs this month’, etc. There really isn’t a great logical answer, because ultimately, if you believe in the law of attraction / the law of abundance, it really is a leap of faith. The answer is, ‘you simply can, and you will be ok”. There are countless stories of those who have done just that and were ok, their basic needs were still met and, in some cases, exceeded. 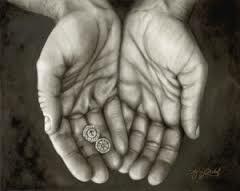 Many of these stories are rich in religion, given the historical relevance of tithing. Although I do not subscribe to an organized religion, I do not discount the benefits of belief and faith that it offers to many. 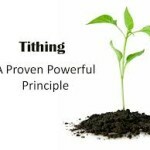 Enjoy these 5 Inspirational Tithing stories, or this Grandsons account of his Grandfather’s Testimony of Tithing, Mark Victor Hansen also offers an overview of why he feels tithing and miracles are synonymous in The Miracle of Tithing. 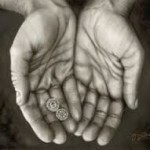 For a more spiritually broad view of tithing enjoy How Tithing Led me to 9 Miracles, or one woman’s account of how tithing, when finances were bleak, created miracles in her life in Miracle of Tithing. On a more personal note, I can say that anytime I stepped out of mY comfort zone and gave to the inspirational sources in my life,wonderful things happened; and, in the end, I was always ok financially. If you’ll excuse me, I must go review my spending plan to make room for tithing. 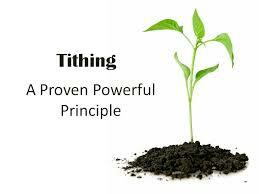 It’s about time (tithe!) 😉 …stay tuned…. Next story Where do I turn when my finances fall apart? Previous story Is Filing for Bankruptcy Easier Today?